After Skyfall grossed over $1 billion worldwide following it's late 2012 release, the hype for the next installment was all but enormous - which means this year's Spectre, strangely the second most expensive film ever made, is going to be a huge win without a doubt. Not all expectations are met, but that doesn't stop this from being one of the better entries to the franchise. Following the attacks on MI6 by Raoul Silva (Javier Bardem), James Bond (Daniel Craig) engages in a personal mission to locate a mysterious assassin and unveil the truth behind a criminal organisation known only as Spectre. His actions drive him across the globe as he encounters old and new acquaintances alike - and eventually meets an old foe who brings even more of his dark past to fruition once again. 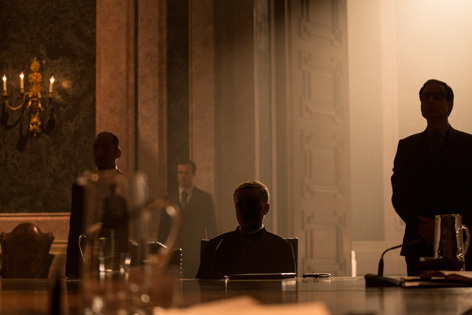 Much as in Skyfall, Spectre is an attempt to bring more of the renowned characters and concepts from past Bond films into Daniel Craig's rebooted phase of the series. This time, the titular organizaition debuts in it's first film appearance in over 40 years, featuring the always masterful Christoph Waltz in the lead villainous role that yields more surprises than initially thought. 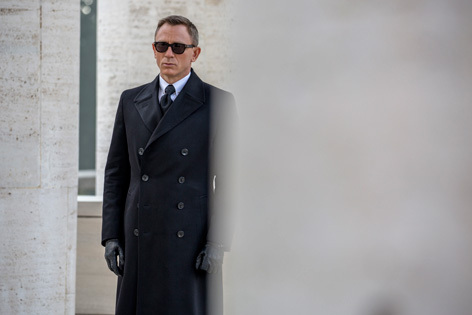 He delivers a rich performance with minimal effort, being the star he is, although it is slightly disappointing to see the villain underused in several key areas, and his relationship with Bond is not as compelling as it may initially seem. 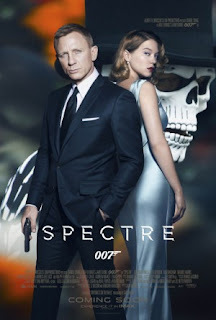 But Waltz is the not the only star - Léa Seydoux is brilliant as the latest Bond girl Madeleine Swan, and Craig delivers his fourth gritty, exceptional performance as Bond himself; his characterization is better than in Skyfall which, amazing as it is, made him slightly too goofy in segue areas. He maintains a dry sense of humour, but you can still admire him as an unrestrained badass who demonstrates the ability to magnificently claw his way out of unbeatable situations in superb, and I mean superb, action sequences. The rest of the supporting cast also make a return, including Ralph Fiennes as the new fresh take on M, and Ben Wishaw as the techie sidekick Q. They are joined by Andrew Scott, whose role is an interesting portrayal of a villain seeking to do what seems to be the right thing. Spectre is also unique in how it links all of Craig's films into a surprising new plot twist, dating back to the villains in Casino Royale and Quantum of Solace. This retcon of sorts is actually extremely effective, and the end result is carefully thought out and very nicely executed. It comes very close to matching Casino Royale and Skyfall, and is certainly superior to Quantum of Solace, and so we have another winner from director Sam Mendes and another example of why Daniel Craig is perhaps the best 007 in a very long time.